The declaration was made in a Swiss court on Jan. 15 — and posted on Reddit this past weekend — officially dissolving Mars One Ventures AG. "We are currently working with the administrator and an investor to find a solution moving forward, though at this moment that is all we can share," the company said in an email. A press release notes the company is "currently working on a solution with an investor." It estimated launching the first four people would cost $6 billion US, and said it planned to raise the money through broadcasting rights and sponsorships. 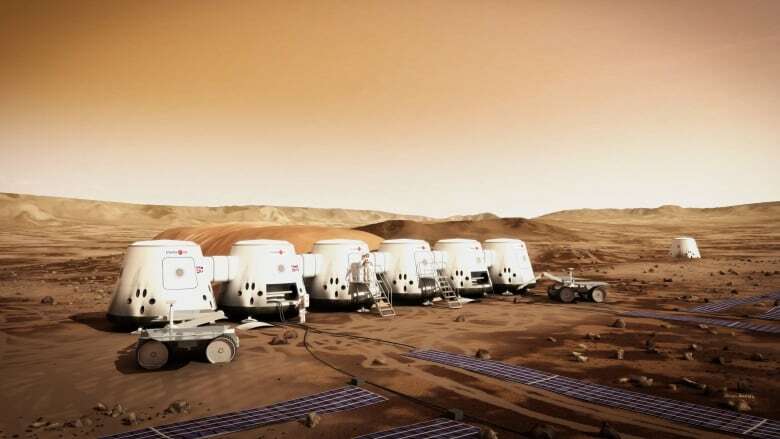 Can Mars One really get off the ground? More than 200,000 people from 100 countries applied, including more than 8,000 Canadians. The company announced a shortlist of 100 people in 2015, including six Canadians. However, experts questioned the plan and pointed out that it had some potentially deadly flaws, and some critics openly questioned whether it was a scam. "The fact is the money is not there, the technology is not there," Elmo Keep, a journalist who has been investigating the company, told CBC Radio's q this past November.